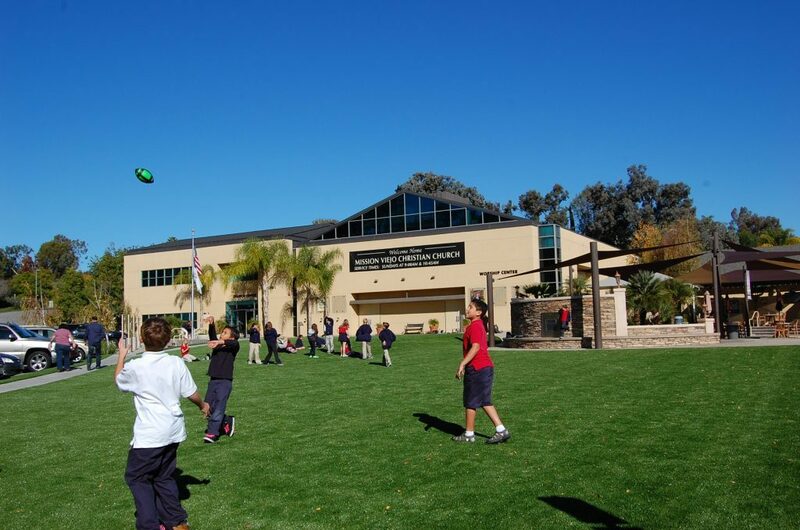 Imagine a playground surface that is great for hosting sporting events, but requires next to no maintenance. 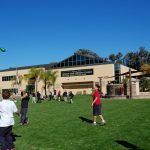 Well, thanks to San Diego Artificial Grass, the best playground artificial turf installation company in San Diego, that dream is now a reality. We provide environmentally friendly, affordable artificial turf that looks just like the real thing, and comes fully guaranteed to satisfy. We only use the very finest synthetic grass, and implement innovative drainage systems to prevent the build up of moisture. We know that parents are always worrying about their children’s safety. They will only accept a playground that’s totally safe, without risk of their little ones getting hurt. Thanks to the soft cushioning we install, cuts and bruises are a scarcity. 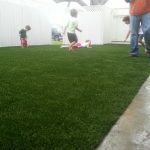 Whether it’s a playground, golf putting greens, sports field, pet turf for dog runs or more, we can install our artificial turf that looks just like the real thing. Our products are ideal for places that are used frequently that undergo a lot of foot traffic and require a lot of maintenance or water consumption. The environment will be transformed into a safe environment in addition to saving money down the line too. The best part is the lifespan of our products are 15-20 years. Imagine how much money could have been saved over that time? 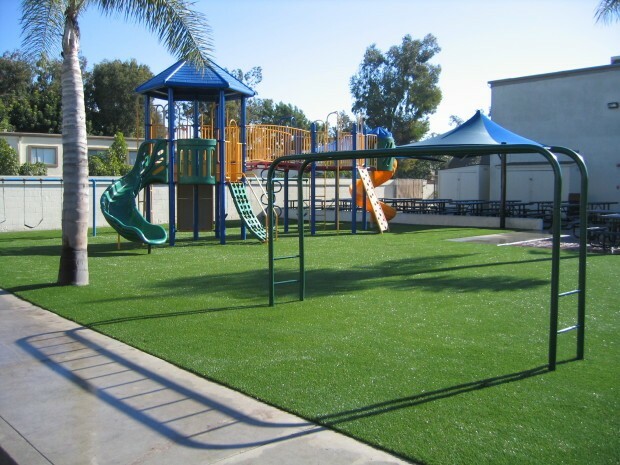 Our products are great for all applications, from playgrounds and day centers to much, much more. There are many options available to suit any budget and perfectly suit your needs. Say goodbye to mowing and fertilizing your grass, and hello to gorgeous grass year-round. 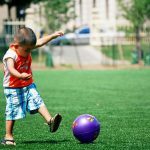 Thanks to synthetic turf, you can provide them with that safe surface that can also be achieved with playground safety surfacing. Parents will look at your safe surface and synthetic lawn and see the perfect place to bring the kids! 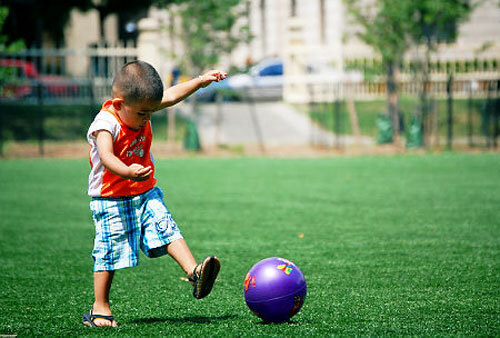 We are offering a safe, clean place for children to play in, without any insects or grass allergies to worry about. It will last for many years to come, and what’s more, it’s great for the environment! 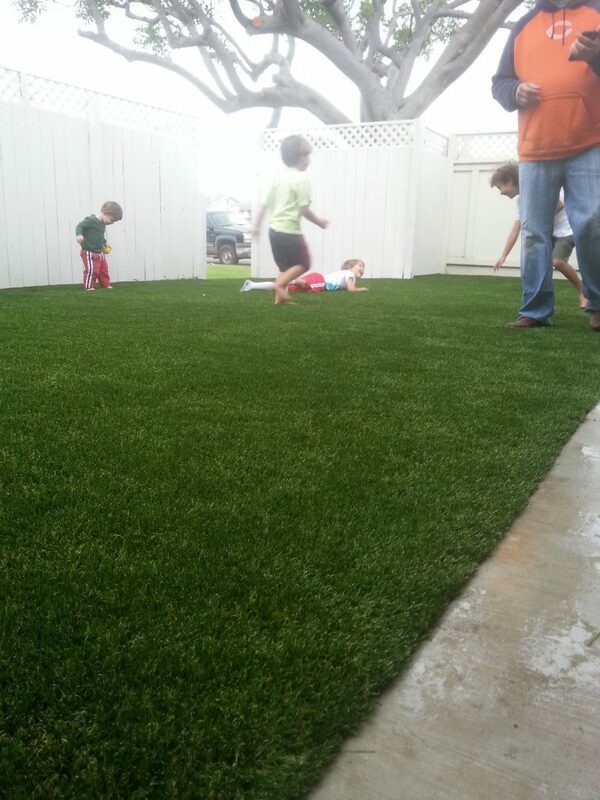 If you’re serious about leaving behind a better planet for our children, then artificial grass is the perfect choice. 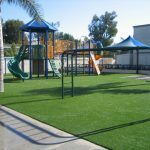 From playgrounds and parks to day care centers, artificial turf can be used anywhere and for any artificial turf installation project. 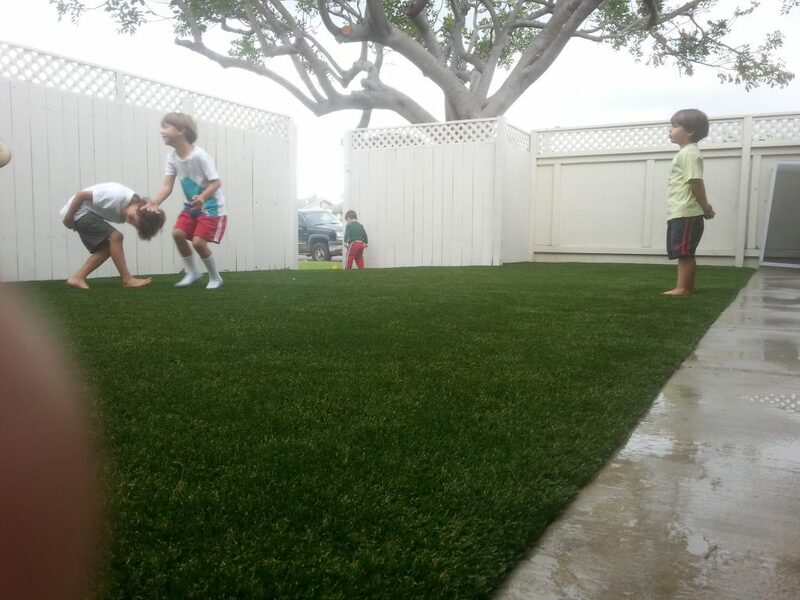 There is already a risk of drought in California, so artificial turf will help you to conserve water easily. What’s more, it could even add to the value of your property! 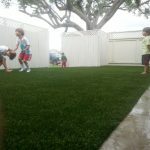 To get your free artificial grass estimate today, or if you have any questions about our great service, contact the professionals at the best playground artificial grass and synthetic turf installation company in San Diego.